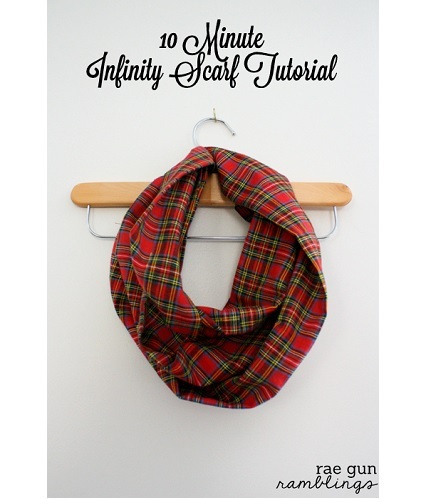 Marissa from Rae Gun Ramblings shows how to make an infinity scarf in just 10 minutes. If you’re needing any last minute gifts to finish off your Christmas list, this might be what to make. You could make a stack of them in one evening. Or, whip one up for yourself to keep your neck warm while you’re out and about. Go to Rae Gun Ramblings for the tutorial. Thanks so much for featuring my speedy tutorial!